The Unitarians and Universalists got into the 20th century and neither tribe was much for resisting war and injustice. Rev. John Haynes Holmes courageously stood against World War I, but he was roundly denounced by pretty much all the rest of the Unitarian establishment. Then we hit the 1920s and that’s where we see the beginnings of the shift that would lead to the way we see ourselves today. 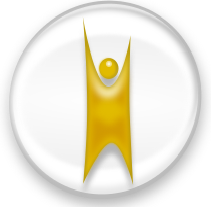 The 1920s and 30s saw the humanist movement burgeon within Unitarianism and, to a lesser extent, within Universalism. Humanism dropped God out of the picture altogether, and, in order to do that, it emphasized the scientific method. Religious concepts were redefined “into human, non-magical, understandings." "Where is our holy church? Where people unite in the search for beauty, truth and right. Where is our holy land? By the middle of the 20th century, in most Unitarian and Universalist congregations, the crosses had been taken down and the communion silver stashed in a remote basement closet. Now we were becoming the resistors. We weren’t just a lower-demand version of the prevailing Christianity. In the 1950s, business interests were combining with mainstream Protestantism to emphasize pro-business values and fight the Cold War. Prayer breakfasts swept the country, bringing together business leaders and church leaders to praise God and denounce communism. The 1950s so thoroughly conflated patriotism and religion that the words “under God” were added to the pledge of allegiance in 1954. It was no longer enough to be “one nation, indivisible.” We had to be “one nation, under God, indivisible” – because the enemy of both the business establishment and the religious establishment was Godless communism. 1959, the year that we Unitarian Universalists of White Plains moved into our current building, was the year church attendance in the US hit its peak. Just about everybody was in church on Sunday morning, and what was preached there was a theology of God, country, and General Motors -- albeit rather less so in Unitarian and Universalist congregations. The 1950s were the time that we began to find ourselves in a counter-cultural place. When a plan was advanced to let kids out of public schools on Wednesday afternoon so they could attend religious instruction in their churches, it was a coalition of Unitarians and Jews that resisted. What kind of people, in the context of the prevailing buttoned-down “God and country” anti-communism would be attracted by ads like that? Clearly Unitarians weren’t the establishment any more. We weren’t even the slightly more skeptical wing of the respectable elite. We had evolved into centers of resistance to the prevailing conventional opinion. Yes, the Unitarians and the Universalists go back 200 years in this country – and 400 years in Europe – but we were formed into what we are today during this phase of massive cultural conformity. The humanism that we moved into in the 30s put us in a position of cultural resistance in the 50s. Our humanism shifted us from insiders to outsiders. And that paved the way for the further cultural resistance that showed up in large-scale UU involvement in the Civil Rights movement in the 1960s, which set us up to be ready to resist a range of injustices. But today another social trend has set in: people that want to resist mainstream or conservative religion feel a lot more free to just stay home. We still have the vestiges of our history of being the elite and the comfortable. And, in addition, some of the more activist inclined – people like Whitney Young, the leader of the Urban League, the type of folks that used to sit in the chairs at Community Unitarian Church when those chairs were new – now stay home. So it’s an open question: How many of our congregations today are outposts of a culture of resistance to the mainstream culture? Here at Community UU, it is indeed our mission to engage in service to transform ourselves and our world. The world, of course, is constantly changing, but it doesn’t seem all that keen in changing in the ways we would like to see. There’s resistance to the spread of a more inclusive fairness and justice. It’s our job to resist that resistance. That’s what Unitarian Universalists do. We haven't always. We do now. This is part 3 of 3 of "Welcome to Resistance"